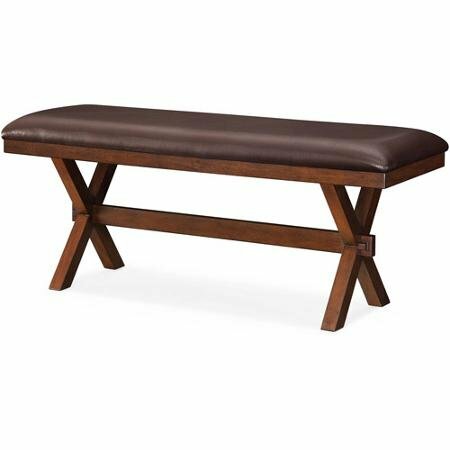 Add convenient seating options to your dining room table with this Better Homes and Gardens Maddox Crossing Espresso Dining Bench. 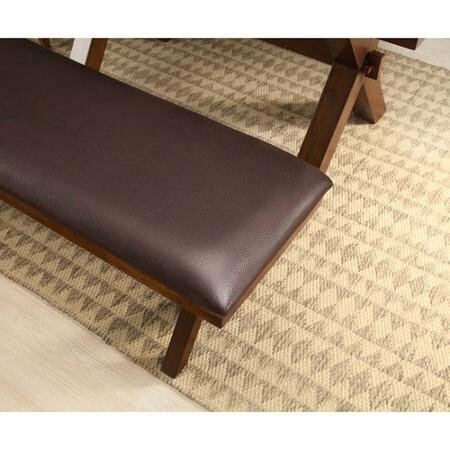 It is constructed with sturdy solid wood legs and a soft padded seat designed to accommodate two comfortably. 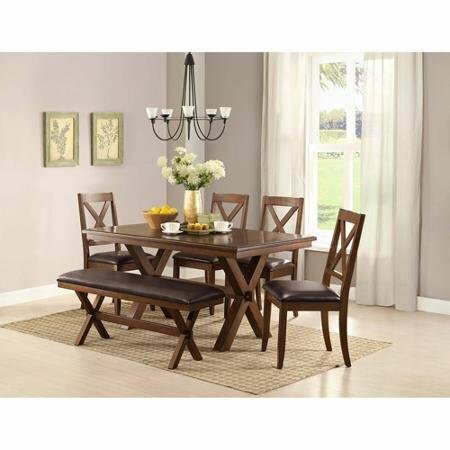 This wooden dining bench easily coordinates with other items found in the Maddox Crossing Dining Collection.